One of the many journalistic truths that I learned from Hall of Fame journalist Al Smith in my early days as a reporter/columnist/editor is that there is always a Logan County Connection. 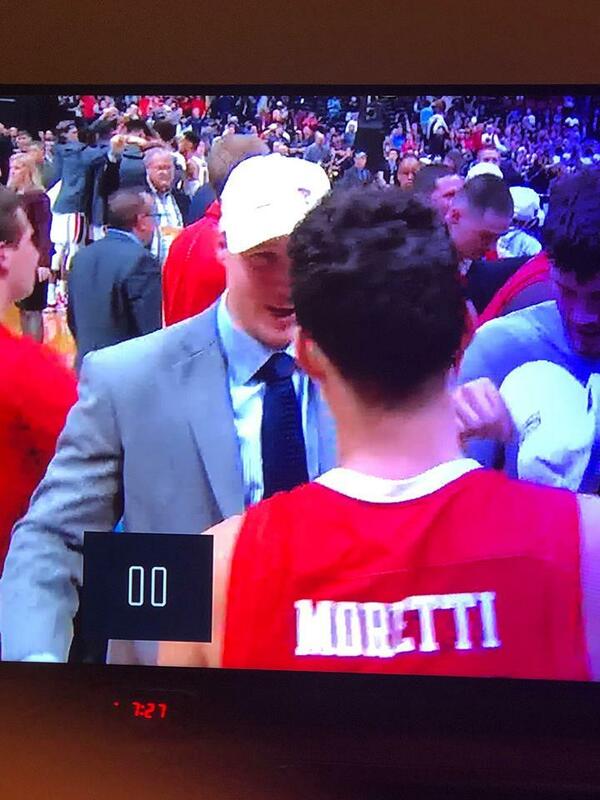 When the most entertaining team of the men’s NCAA Tournament was celebrating its marvelous victory over top-seeded Gonzaga Saturday, many of us saw a familiar beaming face in the middle of the Texas Tech celebration. Logan County High School graduate Tim MacAllister is in his first season as the Red Raiders’ Chief of Staff, after being hired on Aug. 27, 2018. MacAllister came to Lubbock after working for some well-known basketball coaches, with his most recent stop being at Creighton, where he had a multitude of responsibilities under head coach Greg McDermott. He oversaw all aspects of the team’s film and video needs, opponent scouting reports and breakdown of game and practice film to create individual and team edits for the Bluejay team and staff. At Creighton, MacAllister saw his 2016 squad reach the NIT quarterfinals, and then helped the Bluejays back that up with consecutive NCAA Tournament appearances in 2017 and 2018. Before going to Creighton, he worked at Emory University in Atlanta, where he worked as an assistant to Jason Zimmerman for one season. The Eagles won at No. 1 Wisconsin-Stevens Point to reach the Division III Elite Eight before falling to eventual national champion Wisconsin-Whitewater. While at Emory, he worked with a pair of small college All-American post players. He started as a student-assistant for three seasons (2010-13) at his alma mater, Murray State, where he was part of a program that manufactured an overall record of 75-21, including a 31-2 campaign during the 2011-12 season that saw the Racers capture both the OVC regular season and conference tournament titles. That squad earned a berth in the NCAA Tournament where it advanced to the round of 32. One of the players MacAllister worked with while at Murray State was All-American Isaiah Canaan, the 34th pick in the 2013 NBA Draft (Houston Rockets). Overall, MacAllister has appeared in five NCAA Tournaments, worked with three All-Americans and seen three players selected in the NBA Draft—Canaan in 2013, Creighton’s Justin Patton in 2017 and Khyri Thomas in 2018. It’s very likely that some of the current Red Raiders will hear their names called during this summer’s NBA Draft. Tim also served as a Security Forces Staff Sergeant in the US Air National Guard from 2007-2013. While deployed at the Manas Air Base in Kyrgyzstan, he was the head coach of the base's first-ever basketball team (2009-10) that played a number of contests against teams throughout that country. MacAllister is a 2007 graduate of Logan County High School where his dad, Scot, was girls basketball coach for several years. His sisters, Kayla and Shannon, were rugged Lady Cougar frontcourt players. Their mother, Lori, is athletic and was a competitive swimmer. Tim earned his Bachelor of Arts from Murray State in Spanish and holds a Master of Science in Leadership from Creighton. He and his wife, Ashley, have been married since 2014. Most recently, Ashley was the head rifle coach at Nebraska, and coached Puerto Rico in the 2016 Olympics. The couple has a son, Ezekiel, who was born in September 2017. The Red Raiders play Michigan State in the Final Four at Minneapolis Saturday. Also hoping to be part of a Final Four is Katie Wulf Capps, who is Director of Basketball Operations for defending national women’s NCAA champion Notre Dame. A former Lady Topper post player, Katie is married to former LCHS football player Eric Capps. Although his parents, Wayne and Eva Capps, are no longer living, Eric and Katie keep in touch with Logan friends during her off season. 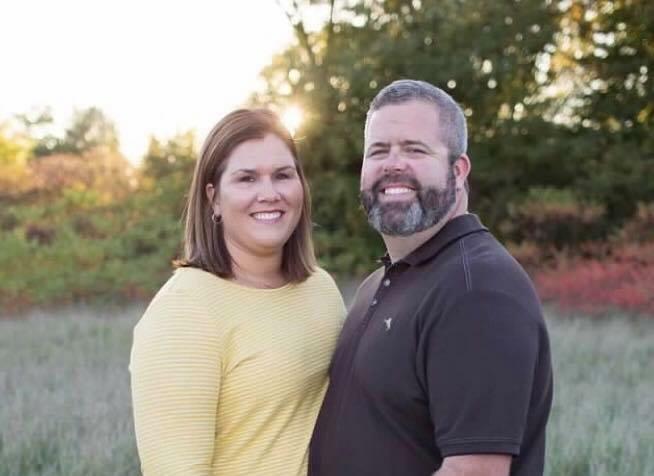 His brother Andy and his wife, Jennifer Harlan Capps, live in Bowling Green. Eric and Katie have three sons, including a set of twins. Katie is in her fourth year on the Notre Dame women's basketball staff for the 2018-19 season, having joined the Fighting Irish program as its Director of Basketball Operations in May 2015. This past summer, Capps took on the additional responsibility of being the program's sport administrator. At Notre Dame, Capps is responsible for the team’s business operations, management of the support staff and student managers, and coordination of team travel. She assists with on-campus recruiting and serves as the program’s liaison to various departments in the athletic department and on campus. Capps is also charged with coordinating the popular Notre Dame women's basketball summer camps, and helps organize the program's numerous community engagement and student-athlete development projects. "Katie is exceptionally talented and has been a valuable addition to our staff," Head Coach Muffet McGraw said. "She has a great deal of experience with the operational side of women's basketball, and she brings energy, passion and fresh ideas to our program. I'm excited to have her on board and I think our fans will see a renewed connection with our program." Capps came to Notre Dame following 11 seasons (2004-15) at the University of Kansas, working on the staff of then-head coach Bonnie Henrickson (now the head coach at UC Santa Barbara). Capps served four seasons as the Jayhawks' Director of Basketball Operations following seven years as KU's Assistant Director of Basketball Operations and Video Coordinator. Capps began her career at her alma mater, Western Kentucky University, where she spent the 2003-04 season as a graduate assistant. Notre Dame plays Stanford tonight in Chicago for a return to the Final Four in Tampa. Another Final Four Logan Connection comes in the men’s NIT in which the Lipscomb University Bisons will face Wichita State on basketball’s most revered stage, Madison Square Garden. Lipscomb’s star—in fact, one of the biggest stars of the 2019 postseason—is very familiar with the Land of Logan. 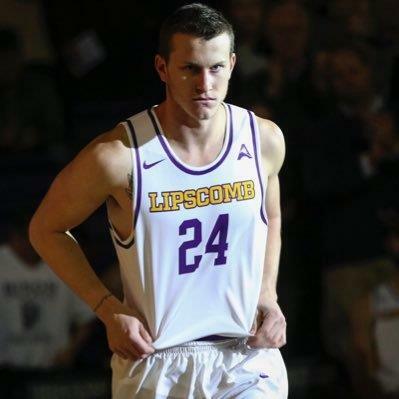 Garrison Mathews scored 44 points in a win at North Carolina State last week to help Lipscomb earn a berth in the Final Four of college basketball’s oldest postseason tournament. He was deadly from the outside and sensational taking the ball to the basket. Throughout his life, Garrison has spent a lot of his leisure time at Lake Malone, visiting his grandparents, Bob and Mimi Mathews, who have lived on the Logan County side of the lake near Shady Cliff Inn for over two decades. “He loves the outdoors as much or more than he does playing basketball or football,” Bob Mathews says of his grandson, who played his high school ball for Franklin High School south of Nashville where Lipscomb is located. One of Garrison’s favorite conditioning programs is swimming the width of Lake Malone. His granddad stays close in a boat near him to make sure nothing goes wrong. “We love watching him play sports, but I’m concerned about how all of this is going to affect him later in life. He had four different surgeries in the two months after the season ended last year (after he led the Bisons to their first NCAA berth),” Bob Mathews said. Logan County is well represented on these extended road trips. The Bisons have played their last two games in North Carolina and Tuesday night they will be in New York City. Russellville Schools Superintendent Bart Flener is a regular in the crowd. His son Zack, whom he coached at Murray High School, is a backup point guard. Meanwhile, the Mathews clan will be in New York City. Bob Mathews (the granddad) and Rob Mathews of Bowling Green (the dad) and their business leader and friend, auctioneer/realtor Tommy Hunt, are driving to Arlington, Va., where they will meet up with Garrison’s great uncle. From Arlington they will travel by train to Grand Central Station and Madison Square Garden. Lipscomb’s game against Wichita State will be televised on ESPN Tuesday evening. Dalton Shoemake pitched the victory Friday that put the WKU baseball team into first place in the Conference USA standings. 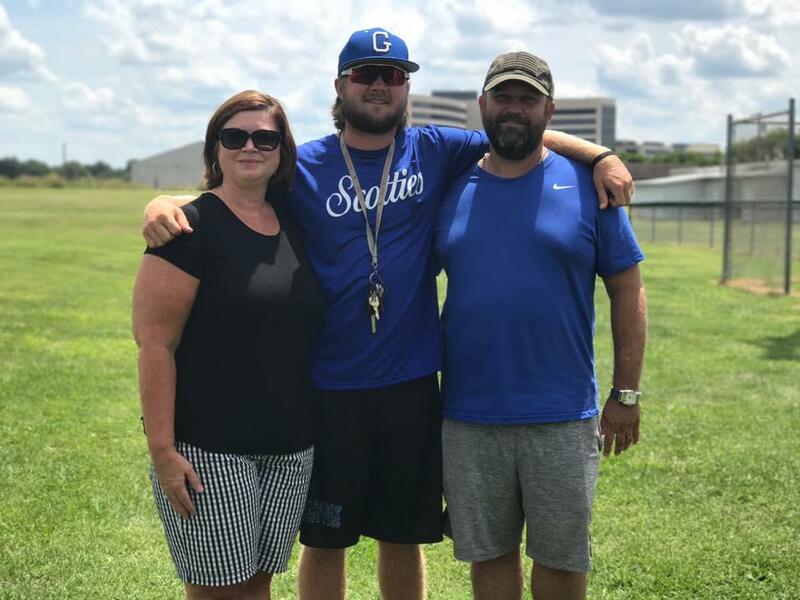 The Glasgow High alum came on in relief of starter Eric Crawford with one out in the second inning and pitched the final 7.2 innings of a win over visiting Charlotte, as the Toppers improved their conference record to 7-1. In the 8-4 win, the left-hander retired 22 of the 25 batters he faced while allowing only three singles. He threw 66-of-95 pitches for strikes and tied a career-high with five punch outs. Even though it was in relief, it marked the longest outing by any WKU pitcher this season. Dalton is the son of Russellville High School graduate Paul Shoemake. He is the grandson of Lizzie Hodge Collins and Charles Shoemake, both of Logan County. His mom, Dr. Jennifer Shoemake, is the new dean of math and science at SKYCTC. And he is a former online student in one of my classes at SKYCTC. Last year he pitched for a Wabash Valley junior college in Illinois. After Western’s doubleheader sweep Friday, he led the team in innings pitched (31), earned run average (3.48) among pitchers who have worked 10 or more innings, and fewest walks per innings pitched. He has walked 8 and struck out 23 on the way to a 2-1 record in seven appearances, including a pair of starts.